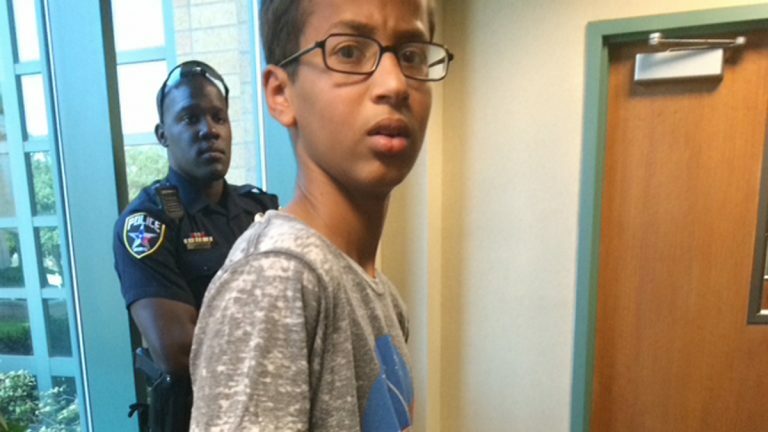 I was angry when I read the story of 14-year-old Ahmed Mohamed, an Irving Tx., teen who was arrested at school after police said a clock he built resembled a hoax bomb. My anger didn’t spring from the fact that this boy is Muslim. I do not, after all share his faith. I wasn’t angry because he was interrogated, handcuffed and taken to a detention center where he was fingerprinted before being released. I was angry, quite frankly, because I have a son, and like young Ahmed, my son is statistically more likely to face harsh treatment for a minor school infraction, because he is a boy of color. Some might argue that race had nothing to do with this incident, though Mohamed, whose father is a Sudanese immigrant, has African roots. But the reality is Mohamed faced the same type of discrimination that springs from racism, because in places like Irving, Tx., Muslim is the new black. Irving Mayor Beth Van Duyne, who has thus far refused to apologize for the incident, announced earlier this year that she was looking into rumors that a local mosque was attempting to establish a court of “Sharia law,” the Muslim code of law, in Irving. Those rumors turned out to be false. The mosque was simply offering non-binding mediation to settle disputes between its members. That didn’t stop Van Duyne from doubling down on the issue. She supported a bill forbidding Texas judges from using foreign law in their rulings. The bill, which many saw as anti-Islamic, was meaningless, because it’s already illegal for judges to use foreign law in their rulings. But Van Duyne is not alone. Anti-Muslim sentiment is rampant in America. According to the Pew Research Center, 92 bills were introduced between 2010 and 2012 banning the use of foreign laws in American courts. Twenty-one of those laws cite sharia or religious laws specifically. Many of the remaining 71 bills contain language that is similar to model legislation known as ‘American Laws for American Courts’ (ALAC). The template for those laws was drafted by David Yerushalmi, a New York attorney who has become a leading voice in the anti-sharia movement, according to Pew. Some people believe such rhetoric is harmless, but make no mistake. Targeting people because of their religion is discrimination. And handcuffing a little boy who wants nothing more than to impress his teachers is reprehensible. Discriminating against a child can kill his dreams, dim his hopes, and stoke his fears. It can turn him into someone he isn’t, and destroy his ability to grow. School is the last place that should happen, but for too many children of color, that has long been the reality. Those who survive unfair treatment discover a strength that comes from overcoming the low expectations of others. Ahmed Mohamed has unlocked that strength, and in a press conference in front of his family home in the aftermath of his detention, he said so: “Don’t let people change who you are, even if you get a consequence for it,” he said. Mohamed is right. And while the consequence of his experience will include a visit with President Obama, who invited Mohamed to the White House upon hearing his story, other children aren’t so lucky. Too many children of color have known the sting of discrimination. Too many have felt the pain of unequal treatment. Too many have learned hard lessons about unfairness. Now Ahmed Mohamed has learned those lessons too, because as much as we’d like to believe otherwise, Muslim is the new black. 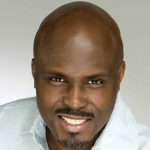 Listen to Solomon Jones on 900 am WURD M-F from 7 to 10 a.m.